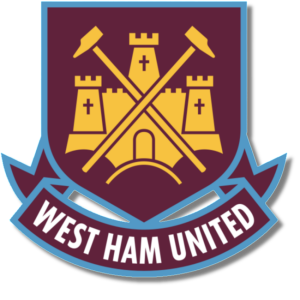 Add your West Ham United Football Club Badge stampette logo to your Facebook and Twitter page and show your support for The Hammers. The club was founded in 1895 as Thames Ironworks FC and reformed in 1900 as West Ham United. The club have won the FA Cup three times: in 1964, 1975 and 1980. West Ham players were an important factor behind England's triumph in the 1966 World Cup. Englands captain at the time was West Hams Bobby Moore, and both goalscorers in the final were then current players Geoff Hurst and Martin Peters.